KHL.ru continues its team-by-team review of the tenth season of the KHL Championship with a look back at the Salavat Yulaev Ufa’s 2017/2018 campaign. The Ufa club, led by the well-known Erkka Westerlund, managed to make it to the quarterfinals, where it was stopped by Traktor Chelyabinsk. The 2016/2017 season wasn’t the best for Salavat Yulaev as they had a first-round exit against Ak Bars Kazan (1-4). Changes in the hockey operations team were unavoidable and on March 27, 2017 the team announced that they hired 59-years-old Errka Westerlund as their new head coach. The Finn is one of the most-known European specialists and had already KHL experience from his stint with Jokerit Helsinki. During the offseason, Salavat Yulaev had a lot of events. The biggest loss was, of course, the move of Kirill Kaprizov to CSKA Moscow. The club had new players in all roles. The goaltending line was filled in by the extravagant Ben Scrivens, the defensive corps by Philip Larsen and the forward lineup by Ilya Zubov and Jonas Kemppainen. The latter was signed with the scope of forming a good first line with Teemu Hartikainen and Linus Omark and that is what exactly happened. 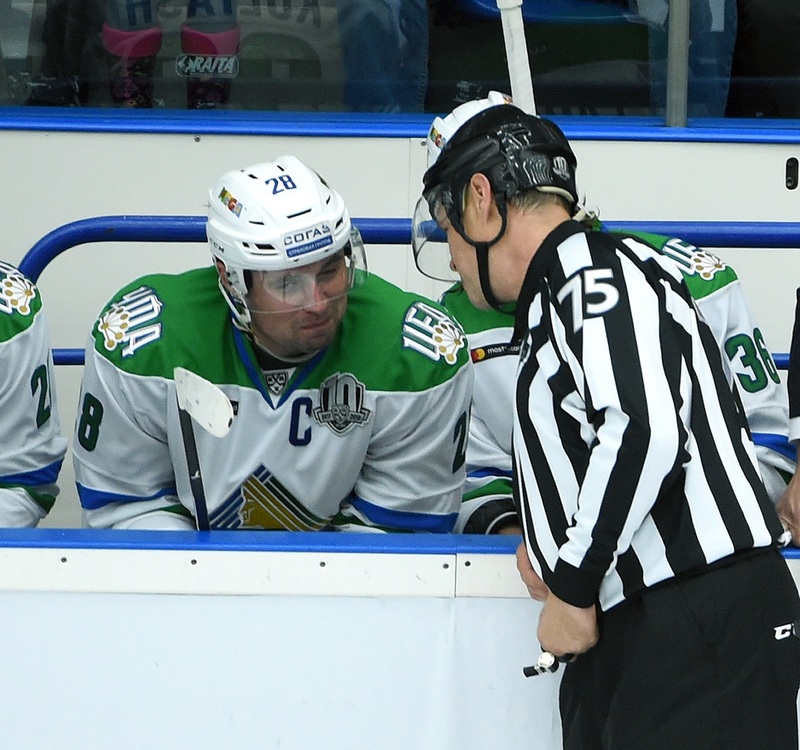 The start of the season was very inconsistent for Salavat Yulaev Ufa. And this problem accompanied the team for the whole year. The Ufa team alternated great moments and fails, big wins and unexplainable huge losses. The calendar gifted Salavat Yulaev a good start of the season with six games at home against teams surely within its reach. But the team led by Westerlund didn’t manage to live up to the expectations. After a win over Admiral (3:1) the team suffered from a loss from Amur (4:5) and an incredible defeat against Kunlun Red Star (1:2) with a goal allowed only two seconds to the final horn. However, those two games were followed by two big wins against HC Sochi (11:3) and Neftekhimik (6:0). After the start, the season has been a true roller-coaster for the Ufa team, that oscillated between the top of the Eastern Conference standings and outside the playoffs zone. Mostly this was due to the fact that the Chernyshev Division leadership was often fought between Salavat and Avangard, who was even more inconsistent. Therefore, the Ufa team always tried hard to climb into the first place of the division, which would automatically give them the second seed in the playoffs. The second half of November was particularly bad for Salavat, when they lost six games out of seven. After that streak, many started questioning if Westerlund shouldn’t have been fired, and defenseman Zakhar Arzamastsev gave a resonant interview where he criticized the head coach and the General Manager Leonid Vaysfeld. But between the end of December and mid January, Salavat completed their longest away tour with a good record of six wins in ten games, a streak that went on during the last few home games. However, the team didn’t manage to solve its inner problems and on 25 January the boards announced that Vaysfeld was leaving Ufa. The club didn’t secure itself a playoff spot until the Olympic Games, but in the end they finished the regular season as the second seed in the Eastern Conference, getting Avangard as their opponents. The teams gifted the fans one of the most spectacular series of the postseason, that ended as the second series with more goals in the KHL history. The teams scored 10 goals in the first game already (6:4), and during the game Salavat was behind (0:3) and (2:4). The most productive players were Omark and Hartikainen, who scored four and five points respectively. The result of the second game was a true surprise, as in Ufa the team on home soil was destroyed (2:7), and the third game was won by Avangard as well. The key moment of the series was the return of Ben Scrivens, who picked up an injury during the Olympic Games. Salavat started allowing fewer goals and a better defensive game became very important for their further success. The culmination of the series was the end of the seventh game. Avangard managed to tie the game at only 17 (!) seconds to the final horn playing six-on-three. But during the overtime, Maxim Goncharov won the game, and the series, for Ufa. The next opponent was Traktor and once again the series went to the seventh game. The Chelyabinsk-based team managed to do the most important thing: blocking Salavat’s first line. Moreover, Traktor found a joker in the deck in Vitaly Kravtsov. It was Kravtsov to score the game-winning goal in the first game of the series (2:1). 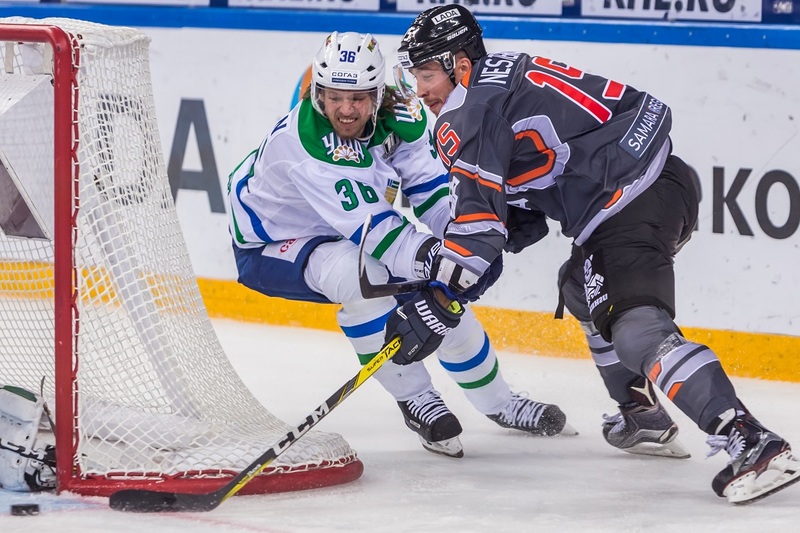 It looked like Salavat could get the initiative back after winning the second game (3:2 OT), but then surprisingly Mikhail Yunkov scored a double in the third game to gift an unexpected win to Traktor (0:2). This was just the start of the intrigue. Traktor won 4:1 on their head coach Anvar Gatiyatullin’s birthday, but Ufa replied with a great performance by Ben Scrivens, who not only got a shutout, but also participated in the only goal of the game, scored by Anton Burdasov. It was the last win by Salavat. In the sixth game the team led by Gatiyatullin demoralized Ufa scoring seven goals, and in the seventh game they demonstrated that they were the true surprise of the season, getting an early lead (2:1) and then containing the opposition until the final horn. Already during the pre-season tournament in Nizhny Novgorod, Erkka Westerlund told KHL.ru that his slogan was “We came here to win”. He confirmed his words as Salavat won the Governor Cup. 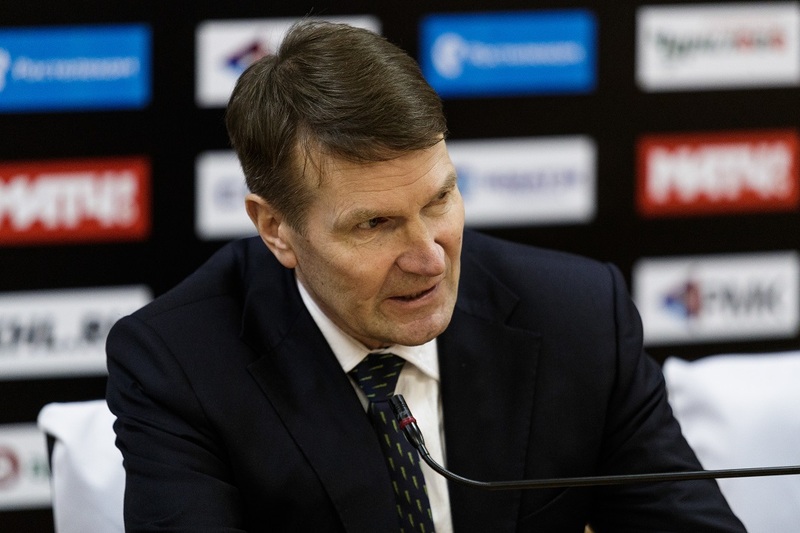 And everything was on his side to think that his season will be a success: a lot of experience (Olympic Games and World Championship medals), a good record in the KHL with Jokerit and a very good roster, even considering the loss of Kirill Kaprizov. That being said, it’s hard to call “successful” Westerlund’s first experience with a Russian team. The Finn specialist, most likely, couldn’t find the key for a couple of specific situations. Throughout the season he was criticized by the press, by the fans and even from his own players with whom, apparently, he never found a common language. 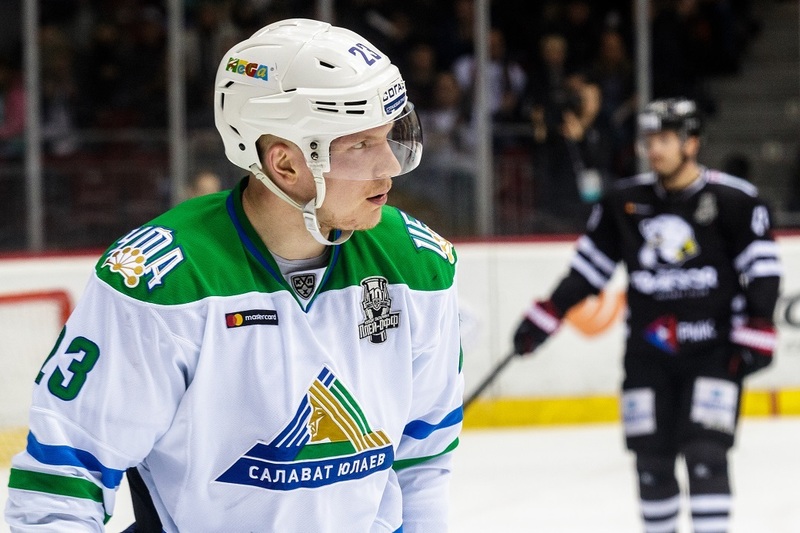 On April 4th Salavat Yulaev announced to have parted ways with the Finn. The next season will start under the guide of Nikolai Tsulygin, who was one of his assistants. Moreover, Westerlund during an interview with a Finnish outlet opened up and said that the boards of Salavat were really pressing on him. On the other hand, it’s impossible to call this season a failure for Salavat Yulaev. The club managed to get to the second round of the playoffs, thus improving the results from one year ago. But anyways there were bigger expectations on the team. On March 20 the Salavat Yulaev – Traktor playoffs series got back to Chelyabinsk with a 1-1 score. Traktor started the game very actively in front of its fans, without scoring, but outshooting the opposition 15-4. In the next period, Ufa managed to get the initiative, but Traktor started scoring. The Chelyabinsk team scored twice, and both times Alexei Kruchinin and Vitaly Kravtsov were instrumental: at the 23rd minute Kruchinin defeated Scrivens with a backhander, and seven minutes later he crafted the offensive play finalized by Alexander Sharov with a great shot. The third period was even more interesting. First Mikhail Yunkov narrowed the gap, with the goal being awarded only after the replay. Linus Omark scored a powerplay goal, and then Mikhail Yunkov scored again to get a double. Yunkov’s performance was even more interesting if we consider that it was only the second game of the veteran forward of the playoffs. The Green Derby is always a special game. The fans in Bashkiria and Tatarstan are always eagerly waiting for the games. And losses are always painful. Especially in cases such as what happened on November 22nd in Ufa. It was the first clash of the season between the two teams. It was impossible to say that Kazan had an overwhelming advantage, but with the help of the strictest execution of the game plan and an almost 100% realization of their chances Ak Bars slowly made it so that only one team remained on the ice. Two powerplay goals on the start of the first and the second period became the foundation of the win, that in the end was very large. The Kazan team even allowed itself to search for beautiful goals, in particular the fifth one, scored after a hand pass by Stanislav Galiyev to Yaroslav Kosov. “We didn’t play like a team. I apologize to our fans, I apologize from myself and all the players,” Erkka Westerlund said after the game. Signing the Finn forward Joonas Kemppainen to a contract last April 30th has been a big success. The arrival of Erkka Westerlund was very important for the move of the 30-years-old forward from Novosibirsk, where he spent the 2016/2017 campaign. In the end, Kemppainen was the ideal center for the other two Salavat winger Linus Omark and Teemu Hartikainen. As a result, Salavat’s top line scored 52 goals in the regular season, more than a third of the total goals scored by the team. It was the second season in Ufa for one of the most experienced Russian defensemen, Denis Kulyash. He was even the captain of the team, but this season after just 16 games he was surprisingly put on waivers for the first time of his career. He could have played for Salavat’s farm team in the VHL, Toros Neftekamsk, but the team dissolved the contract with the player, who was then picked up by Avtomobilist Yekaterinburg. There, he had a quite successful second part of the season. Regular season: Linus Omark – 55 (16+39), Teemu Hartikainen – 41 (20+21), Filip Larsen – 38 (11+27), Joonas Kemppainen – 37 (16+21), Enver Lisin – 24 (14+10). Playoffs: Linus Omark – 17 (4+13), Teemu Hartikainen – 11 (4+7), Joonas Kemppainen – 9 (4+5).